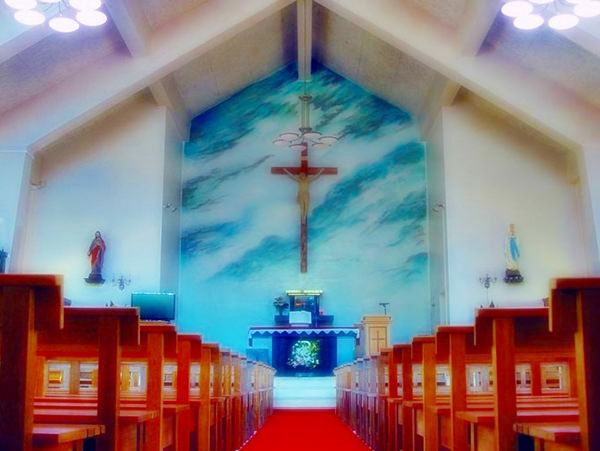 Sone Church is one of the many Catholic churches in Nakadohri Island, belonging to Goto Islands (refer to #514). The current church was complete in 1966. 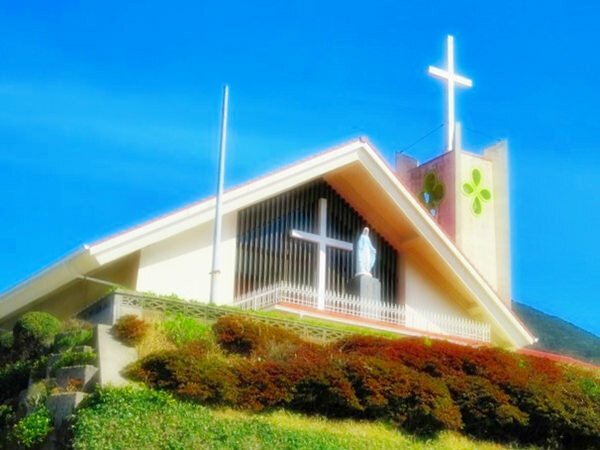 Sone Church stands on a hillside near Bandake Hot Spring, overlooking both the East China Sea and the sea between Goto Islands and Kyushu Island (refer to #063).